Vassily Sinaisky conducts the BBC Philharmonic in an extract from Elgar Symphony No.2. BBC Proms 2010. 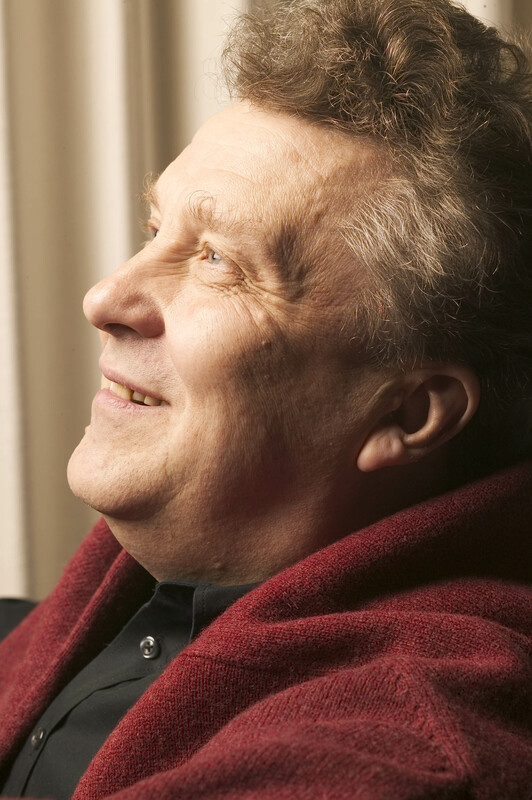 One of the foremost Russian conductors in the great tradition of Musin and Kondrashin, Vassily Sinaisky is known for his interpretations of Russian, German and English repertoire. 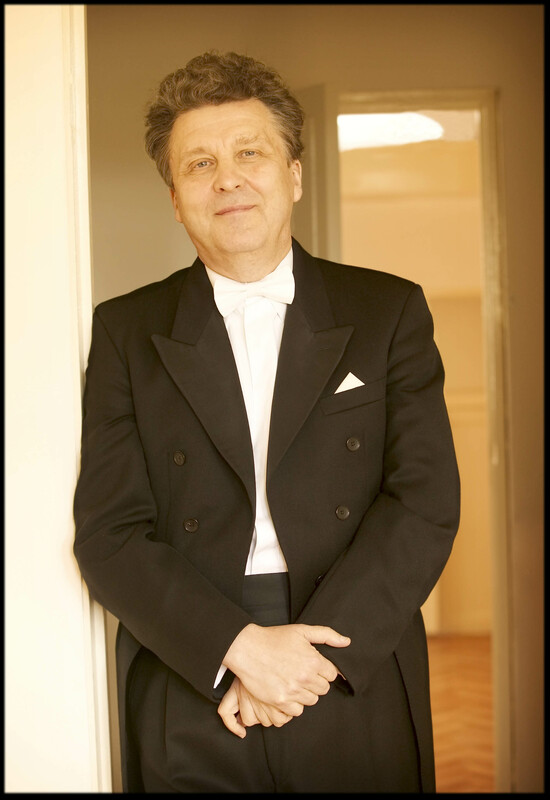 Sinaisky also has a distinguished pedigree as an operatic conductor and from 2010 to 2013, was Chief Conductor and Music Director of the Bolshoi Theatre, Moscow. 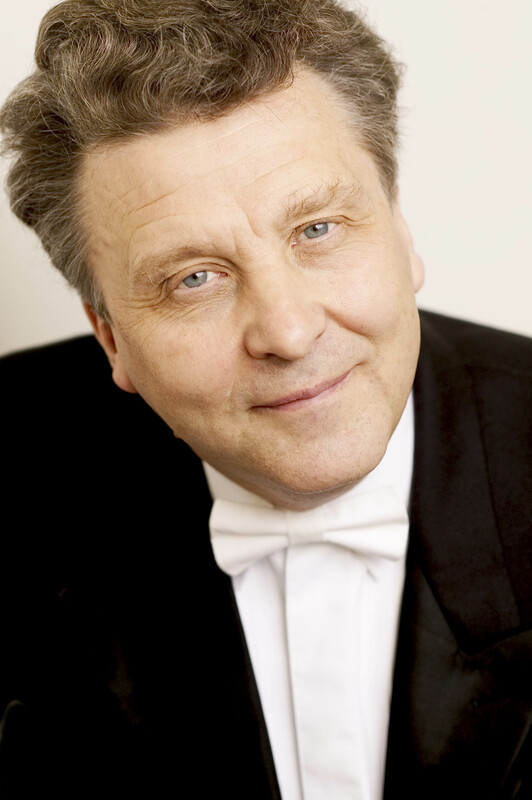 Sinaisky holds the position of Conductor Emeritus of the BBC Philharmonic Orchestra. Memorable projects have included the ‘Shostakovich and his Heroes’ festival, tours to Europe and China, as well as many appearances at the BBC Proms. 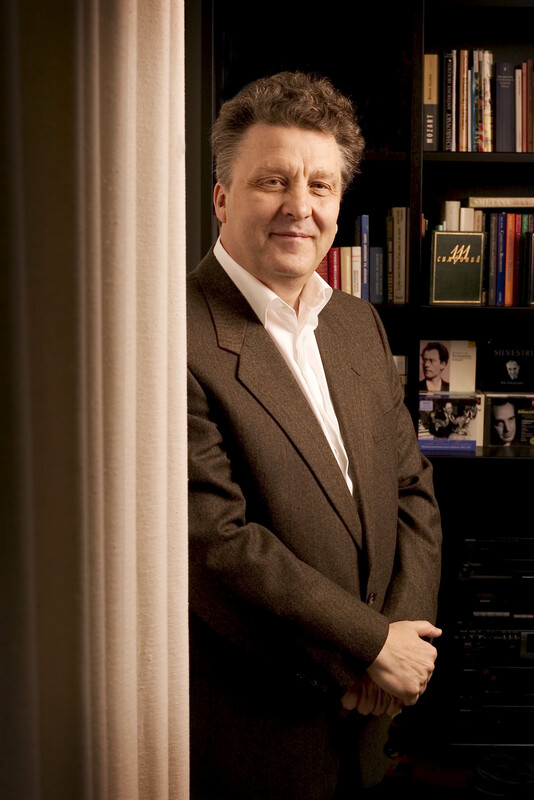 Sinaisky is also Conductor Emeritus of the Latvian National Symphony Orchestra, Honorary Conductor of the Malmö Symphony Orchestra and has previously held the positions of Music Director and Principal Conductor of the Moscow Philharmonic, Principal Guest Conductor of the Netherlands Philharmonic and Music Director of the Russian State Orchestra. He is sought out by orchestras worldwide for his great experience and insight and regularly conducts orchestras such as the City of Birmingham Symphony, Houston Symphony and São Paulo Symphony Orchestras, Seoul Philharmonic, New Japan Philharmonic, St Petersburg Philharmonic, Helsinki Philharmonic Orchestras and the Russian National Orchestra with whom he will be recording Shostakovich symphonies for Pentatone in autumn 2018. 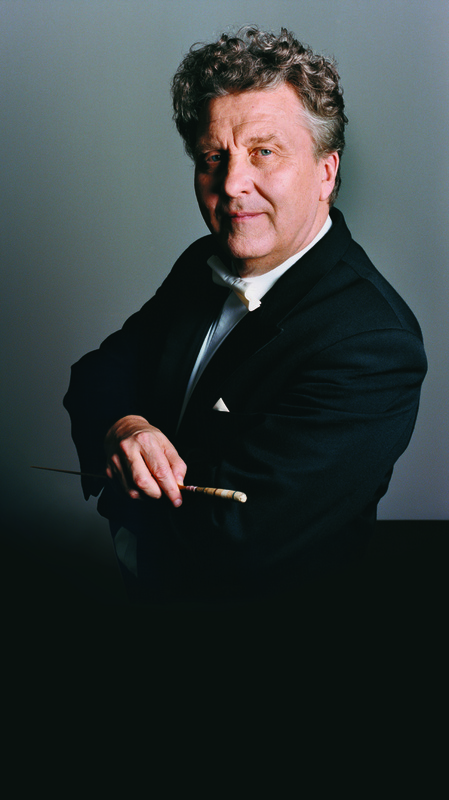 Whilst Chief Conductor and Music Director of the Bolshoi Theatre, Moscow, Sinaisky conducted many acclaimed productions including Rimsky-Korsakov’s The Golden Cockerel directed by Kirill Serebrennikov and Richard Strauss’ Der Rosenkavalier directed by Stephen Lawless (the first ever staging of this work in Moscow). Elsewhere, Sinaisky has conducted Iolanta and Francesca da Rimini in new productions by Stephen Lawless at Vienna’s Theater an der Wien. He also conducted Boris Godunov at San Francisco Opera. Other projects have included productions of Fiery Angel at Komische Opera Berlin, Queen of Spades at Hungarian State Opera, Carmen and Rosenkavalier for English National Opera and an acclaimed Lady Macbeth of Mtsensk with Hans Neuenfels at the Komische Oper Berlin. Vassily Sinaisky’s recordings include a set of the symphonies of Franz Schmidt for Naxos with the Malmö Symphony Orchestra. Other recordings with the BBC Philharmonic span across many works by Shostakovich, Tchaikovsky, Rimsky-Korsakov, Shchedrin, Glinka, Liadov, Schreker and Szymanowski. His most recent recording is of Tchaikovsky and Grieg Piano Concerti with Denis Kozhukhin and the Rundfunk-Sinfonieorchester Berlin. Vassily Sinaisky is a noted and influential teacher and holds the position of Professor of Conducting at the St Petersburg Conservatoire. 2018-2019 season / 390 words. Not to be altered without permission. 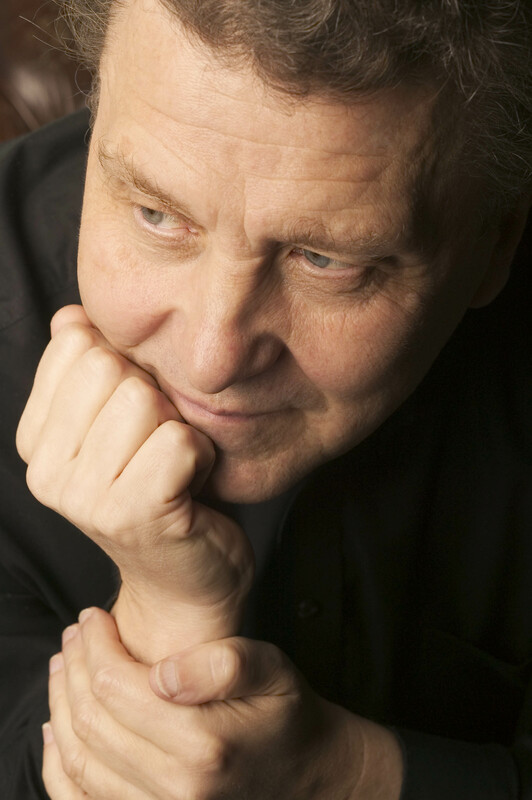 Sinaisky is a greatly experienced conductor in this repertoire, and at once he brought this composer’s slightly forbidding but aristocratic and generous musical personality. His was a very subjective approach to the score, with expressive exploration of detail at all turns… The lyrical third movement was lovingly shaped, with a beautifully played clarinet solo. Rarely has an ovation been so well deserved...Vassily Sinaisky’s interpretation was formidable. Entirely in the spirit of Stravinsky…he let the music speak for itself with great care for both small details and the big picture. The symphony lasted for more than an hour, and yet the time seemed to fly by. Sinaisky and the RSB created a vivid, apocalyptic sound-world... like a memorial in music for all those who had died.